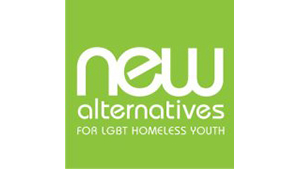 Created in 2008, the mission of New Alternatives is to increase the self-sufficiency of homeless LGBT youth and to enable them to transition out of the shelter system and into stable adult lives. We do this by providing case management, education services, life skills training, community-building recreational activities, opportunities for self-expression, and support services for HIV+ youth. Our guiding principles are those of harm reduction, youth development, and empowerment.